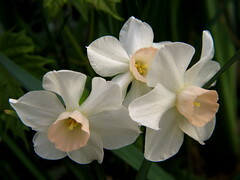 My spring-flowering bulbs arrived last week, from Brent and Becky’s Bulbs in Gloucester VA, where I buy them every year. John got them in the ground Saturday, before he took off for his vacation in Venezuela. He worked until almost 6 PM and it was dark when he left, but I figure they will look pretty good come spring because it’s difficult to mess up bulb planting, especially as I had him prepare the beds weeks ago. 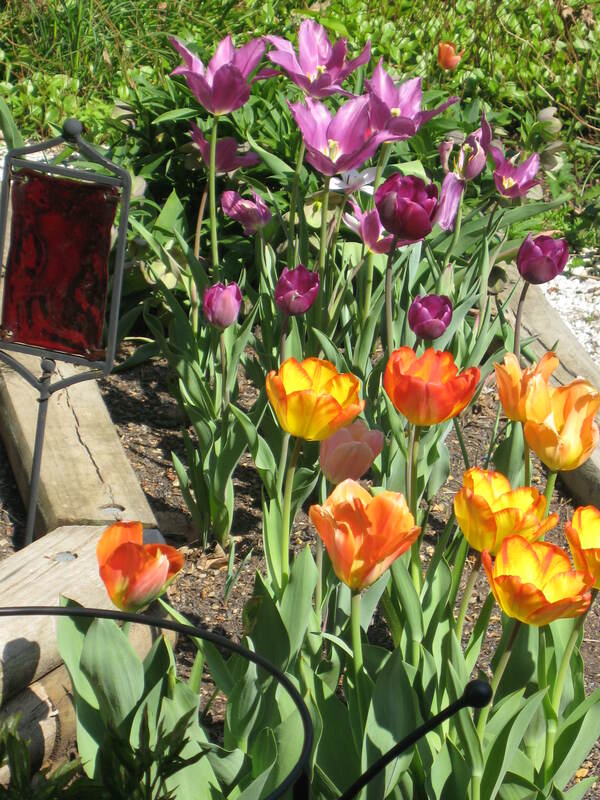 This year, we planted these tulip bulbs: Queen of the Night, a deep purple Darwin tulip; Maytime ( medium purple) and Marilyn (red and white): both lily flowered tulips; and several others in pink and white shades: Purissama, Shirley, and Sorbet. 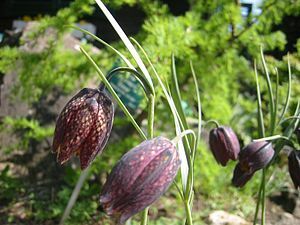 I also have oodles of miniature daffodils and Fritillaria or checkered lilies (photos above). 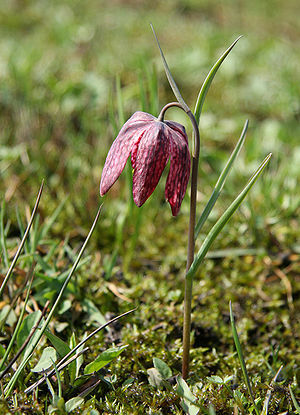 Some call Fritillaria meleagris ‘snake’s head’ though I don’t know why. 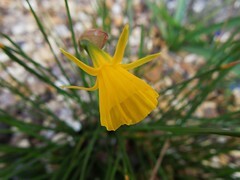 John also planted several dozens of adorable miniature daffodils including: Baby Moon, Kokopili, and Tete-a-Tete. However, working in the dark, he left one bag of daffs on the porch. They are now in my fridge, cooling their heels for forcing in an indoor pot. Below: Tulips from bulbs I planted in previous years. 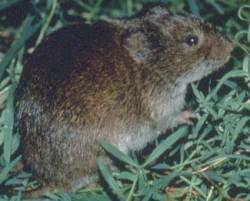 Hopefully, the fat vole who lives out front left a few of the older bulbs in the ground. He will certainly find many more new bulbs for his delectation. We always plant enough to share. This entry was posted in Elder Blogger, Environment and Nature, Gardening and Gardens, Home/Home Improvement, Photography, Retirement Living, Urban Spaces by SchmidleysScribblins. Bookmark the permalink. SPRING TIME FLOWERS. 🙂 How lovely! Your garden is going to look gorgeous in the spring. Mother used to try and drown them out when water was cheap. Yes, those are stunning flowers. I do so like the new banner at the top too. Iris? Here it’s a miracle if I remember to water my assorted stuff. I do have a pot of frezias that I dearly love. At least I haven’t killed them yet. Still love that tree. Can I borrow it? I love those flowers. Good luck with them. 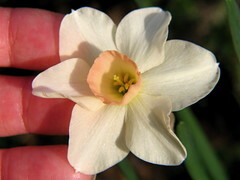 Daffodils are a favourite flower of mine and one of the few things that remind me of a previous life lived in England! Daffodils and tulips are my favorite spring flowers. I miss the joy of seeing them pop up in April. 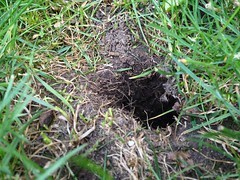 It was the squirrels that used to dig up my bulbs.